Bulgaria is presented at МITT 2017 Exhibition in Russia with a national stand of 356.5 sq.m. 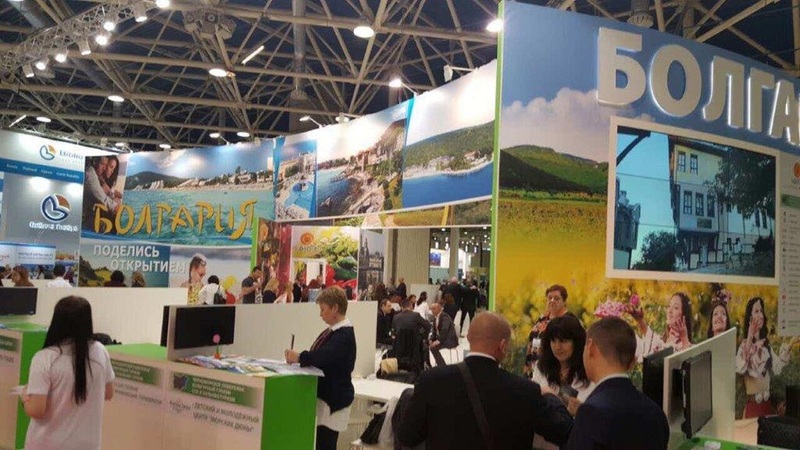 Besides the Ministry of Tourism, present are 28 co-exhibitors, including four sea municipalities – Varna, Primorsko, Nessebar and Sozopol, as well as companies. Deputy Minister of Tourism Irena Georgieva took part in the event. MITT 2017 is held in the period from 13 to 16 March 2017. The leading slogan of the destination for 2017 is “Bulgaria – Discover and Share”. The highlights in the presentation of our country are in accordance with the most demanded products: cultural tourism, balneological, spa and wellness tourism. Bulgaria is promoted as an all-year-round tourist destination with ancient culture, rich in historical and archeological monuments, mineral springs, beautiful and preserved nature and tasty food, and the main goal is to attract a higher number of Russian tourists. During the exhibition, the visitors of the Bulgarian stand will be able to familiarize themselves with the Bulgarian traditional embroidery. Organised is also a tasting of Bulgarian jams, a professional confectioner will demonstrate live how to cook them and how to use them as decoration of cakes and how to make sugar figures. For the audience there is a tasting of wines with a Russian speaking sommelier, a tasting of traditional food specialties – banitsa, cheese, lukanka, honey, etc. Martenitsi are woven at the stand, to be presented as a gift to every visitor. 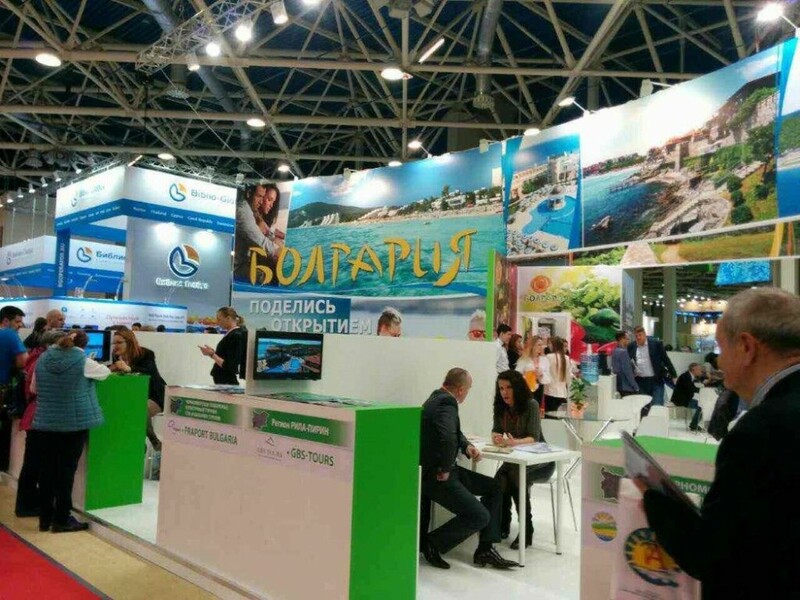 Based on data from Russian tour operators, Bulgaria remains a leader in the sea vacations among European destinations, sought by the Russian tourists during the campaigns for early bookings at tour operators. Statistics on enquiries by Russians in general and specialized search engines confirmed their increased interest in our country. For example, enquiries about trips to Bulgaria made in January this year in the search engine Sletat.ru (Слетать.ру) mark a rise by 180.4% compared with December 2016. This is the highest monthly rise in the volume of enquiries by countries participating in the internet statistics of Sletat.ru. According to data of the search engine Yandex in January 2017, Bulgaria shows a rise in enquiries by users by 130.7% compared with December 2016 and is one of the Top 3 countries with highest upward dynamics in search of tours by Russian clients. Over 1,600 companies from 182 countries and regions take part in the MITT exhibition in Russia, and the number of visitors exceeds 28,000 persons. The event is targeted at the mass audience and professionals and all kinds of tourist services are offered there. Meetings are held and contacts are made with existing business partners, new destinations and types of services are offered, new proposals and competitive methods of work are studied, and the scope of target audience is extended, and all this is offered at a single point. МIТТ enables participants and visitors of the exhibition to take part in the extensive business programme and meet with the best performers in the industry.